Bruges, yup. I did not make my research before getting there. 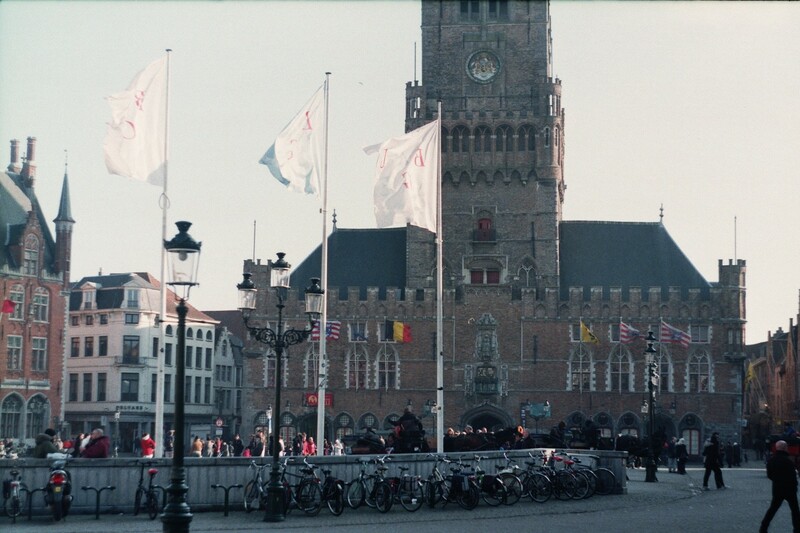 It was February while I was travelling in Belgium and Bruges was full of tourists, like old Englishman and ladies and extremely lot of Aussies, though there were lot of alternative places and filled with backpackers, quite surprisingly, as well. I had enough luck to find a couch via couchsurfing there and spend in Bruges all in all about 24 hours, which is in my humble opinion sufficient for this small city. 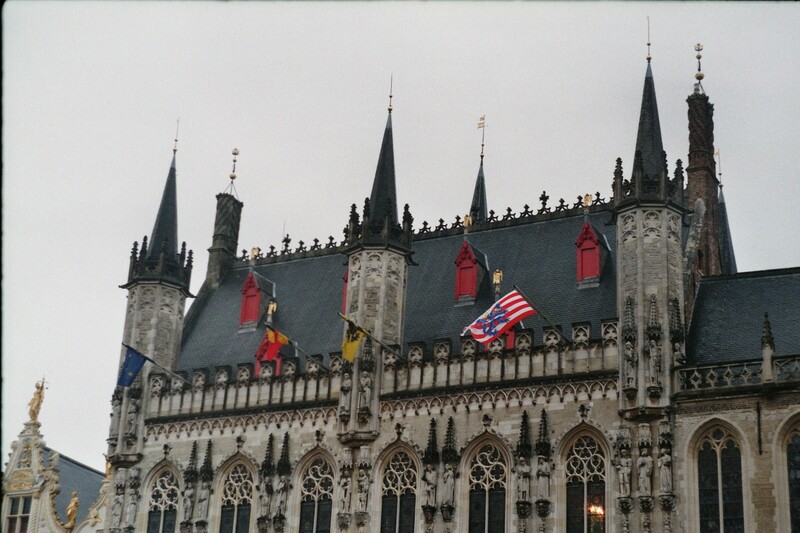 So, I took the train from Brussels to Bruges, departing every hour, which cost about 5 euro. Initially, the plan was to hitchhike, though I thought it was in this case simply not worth it. My couch host have had a shift at work, in one of Bruge’s coolest hostels, so I left my stuff there and started to explore city on my own. There was a walking tour organised by a girl, who moved to Bruges month ago from the US and later in the evening also Belgian beer tasting in another hostel. It sounds like a pretty lame stuff, though as I was travelling alone, for the first time in my life, and it was pretty much cold, I decided it will be a good idea to join some other backpackers. I had much fun during both guided tour and later beer tasting in the hostel, got totally wasted with tasty, strong Belgian beers, though while going, hungover obviously, to Ghent I stated that the city is too small and too touristic. I never was a fan of such small places, I mean, from the touristic point of view it was amazing, with its wonderful architecture and quite a lot of activities for tourists even in winter, but I could never imagine living in Bruges, though I’d definitely like to move to Belgium someday! And just one advice for those, who are expecting anyone in Bruges speaking French – forget it.